Legend has it that the original Greensleeves was written by King Henry VIII for Anne Boleyn, who, after a pursuit of several years, became the second of his six wives. 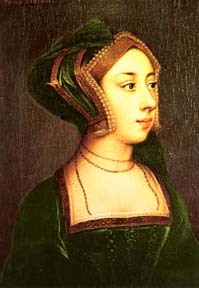 Henry later had Anne beheaded for treason (alleged adultery) when she failed to produce a son as heir. She did, however produce a daughter, who later became Queen Elizabeth I (1533-1603), arguably Englands greatest monarch.